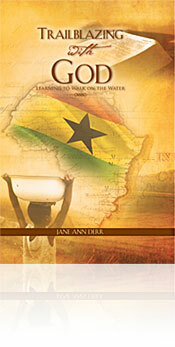 “Trailblazing with God” boldly describes one families fascinating adventure to Ghana West Africa in the early nineteen sixties. Many unexpected twists and turns lead to perplexing and surprising discoveries as they endeavor to adjust to their new environment that early missionaries called, “the white man’s graveyard.” The lessons this young couple and their five children learned were priceless. God doesn’t pick the cream of the crop to be His servants. He uses ordinary, willing people with all of their warts and flaws to show the wonderful grace and mercy of God who carves us into the image of Christ. Please check out our testimonials page to see what others are saying about Trailblazing with God.